During the last couple of years WAX-IT has grown to be one of the market leaders in the detailing scene. The company offers a complete solution to detailing: from helping the grass-roots DIY detailer with advice and good quality products, to the top of the range detailing services for concours winning vehicles of all shapes and sizes. The WAX-IT workshop houses a detailing center, a store with a wide range of products and a web shop with next day delivery so they can service your biggest detailing needs. Want to learn more about detailing? WAX-IT also offers demo days where you get tuition on how to do it yourself, and time for Q&A to further grow your skills as a detailer. This year´s iteration of this epic rally will feature multiple countries, awesome roads and some prime locations. The rally starts with a continental breakfast in Belgium, but soon after that we enter the country of smooth pavement, epic views and cheap gasoline. The valley of the seven castles will provide the thrills a group of petrolheads looks for in a day of driving, but can also keep the copilot occupied with impressive views of both nature and picturesque villages. The rally will cover approximately 220 kilometers. During the rally we will have lunch at a castle, visit Luxembourg and Germany and end up back in Belgium near Stavelot. The rally ends at 16.00 with a short museum tour for those that want to, with respect to those that still need to drive a long way home. The Van Der Valk Hotel will be our starting location for this rally. The participants will be treated to a full continental breakfast to start the day, follow the briefing and after that set off onto the open roads. 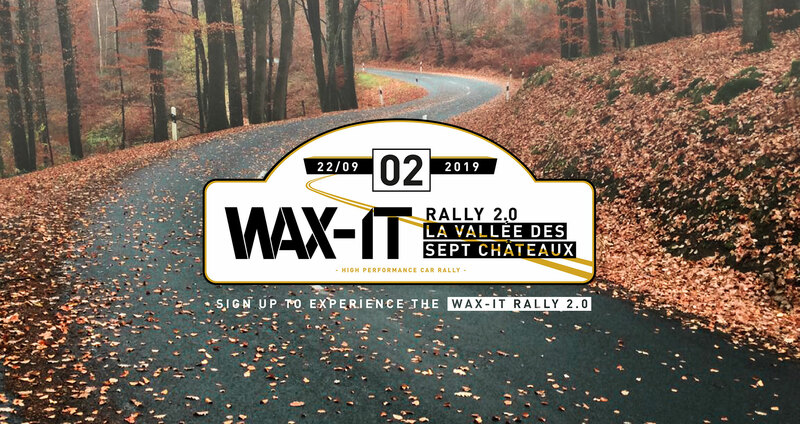 We will offer the participants the possibility to arrive at the hotel the day prior to the rally, and sleep at the starting location in comfort. Participants driving electric cars will be able to charge their vehicle at one of the 26 Tesla superchargers. The origin of the magnificent castle dates back to over 300 years ago, when it was built on the remains of a 13th century building. During the Second World War, the castle was severely damaged and after that completely forgotten until it was bought in 2005. After an extensive renovation the chateau reopened in the year 2016, claiming its spot as one of the top locations in Luxemburg, winning multiple prizes and being classified as a heritage building. This makes Chateau d´Urspelt the perfect location to stop by, take in the scenery and the castle and enjoy a descent lunch. Participants driving electric cars will be able to charge their vehicle at one of the 3 Tesla destination chargers. Belgium might only be as big as a stamp, but with the Spa-Francorchamps racetrack it does have a very rich history in motorsports. The rally ends in the museum of the racetrack, which gives us a glimpse of the racing heritage while we enjoy a light dinner. We expect the participants to arrive at 16.00 so that there is enough time to drive home in comfort. Participants driving electric cars will be able to charge their vehicle at one of the chargers in Malmedy. The number of places for the rally and the hotel are limited so it is best to sign up as soon as possible. The price for the complete rally is 325 Euro per car, based on two participants. For that price you get the roadbook, continental breakfast, lunch and light dinner. Sadly there are not places available at this time. Please check again later. Missed the previous edition, or feel like looking back at the event? Check out the video below and the pictures in our gallery.